for residential & commercial plumbing. Proudly serving the Peoria tri-county area since 1949. 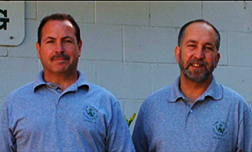 Family owned and operated, our team has served the Peoria Tri-County area since 1949. For residential and commercial clients alike, we specialize in repair jobs and remodeling services, and after all this time, we’ve certainly built a reputation for quality! Open five days a week, we make sure we’re available whenever you need. So whether you’ve got an emergency on your hands or want to discuss a larger project: give Tom Smith Plumbing a call today.